A 3D figurine that looks exactly like you? Your beloved family dog or cat? Your precious child? You and your best friend? Your family of four? A special event? 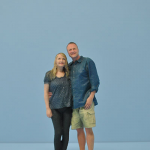 My 3D Mini Me offers families, friends, fiancées, fire fighters, sports teams, businesses, and others in the Chicagoland area the opportunity to hold onto those everyday and special moments, forever—with realistic, high-quality 3D figurines. Join us in celebrating the opening of our doors! Buy two figures, get the third of lesser or equal value at 50% off. Great for families and pet owners! From a baby belly to an infant through preschool, grade school, and high school, capture and hold onto each precious moment as the years fly by. Whether it’s your best buddy, your BFF, or your high school sweetheart, capture and hold onto those special once-in-a-lifetime relationships. Whether you’re a genius with a basketball, choreography, taekwondo, golf, poms, soccer, or any other pursuit, My 3D Mini Me can preserve your (or your child’s) success as a 3D figurine. Religious ceremonies such as christenings, bar and bat mitzvahs, and first communions, along with marriage proposals, weddings, Eagle Scout ceremonies, graduations, special anniversaries, retirements, and more can be forever immortalized as 3D figurines. Turn date night into something special. Rent a tux, order flowers, sport your formal wear, and create a distinctive3D date. Unique corporate gifts are not easy to find. Consider rewarding your corporate leaders, super star sales reps, or other high achievers with their own 3D Mini Me for their desk or office. Our pets are important members of our family. Hold onto those fleeting moments with your adorable puppy or kitten, frisky adult pet, or your wise four-legged senior friend. 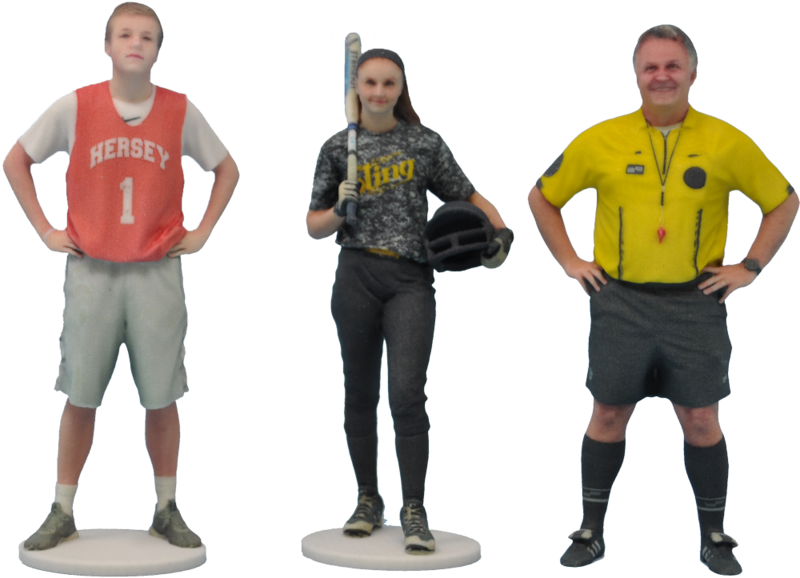 Celebrate Christmas or Hanukkah, a special Valentine’s day, or a fabulous Halloween costume with a 3D figurine from My 3D Mini Me. Looking for a perfect Mother’s Day or Father’s Day gift, or a unique birthday present for grandma and grandpa, create a 3D sculpture they’ll love. 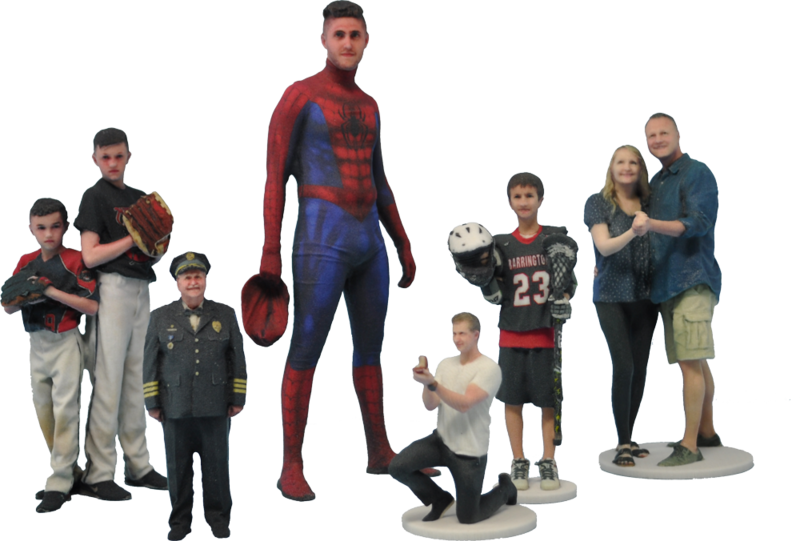 Soldiers, firefighters, police officers, and other heroes in uniform make noble 3D figurine keepsakes. Your little superheroes also make memorable 3D figurines that capture the spirit of comic book heroes. Brides and grooms can top their own wedding cake or appear on every guest table at the wedding. These aren’t look-alike painted figures—but real images of you. 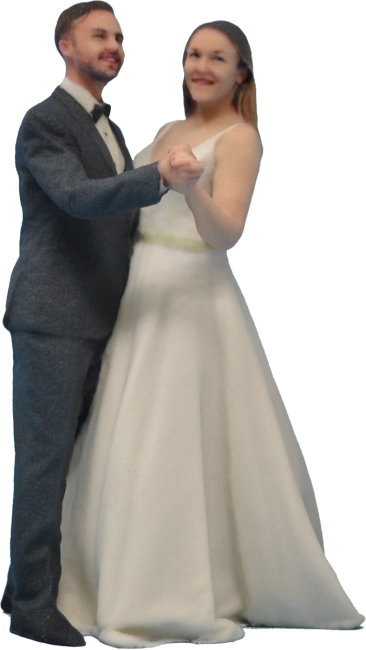 Parents and grandparents will want these 3D bridal couples to remember your special day. When special anniversaries roll around, they’ll want one of themselves to celebrate their special day. Do you enjoy art? Why not feature a 3D sculpture of your family? We can capture up to four figures at a time with our digital “surround sight” cameras. At schools or companies, feature My 3D Mini Me figurines in your awards cases. We’re pet friendly, family friendly, team friendly, and Scout troop friendly. If you can imagine it, we can help create your unique 3D sculpture. Superbly detailed, these high-quality 3D figurines are new to the Chicagoland area. Your 3D experience begins with a trip to our studio. Once in the studio, we use 89 “surround-sight” digital cameras to create a 360°, 3D image in a quarter of a second. Next, we send your favorite 3D image(s) to our 3D printing partner, artists who print intricate full-color, vibrant 3D figurines in sandstone. Dress in your Sunday best, your team uniform, a costume, or your everyday clothes. Bring props that render well in 3D. We’ll help you pose and stage the best photo for a fabulous 3D figurine (or two! )—you’ll want one as a keepsake and another as a unique gift for someone special. Schedule your studio appointment today. 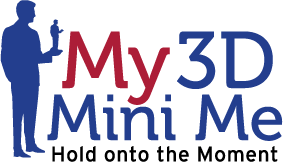 My 3D Mini Me offers family and friends in the Chicagoland area the opportunity to hold onto those everyday and special moments, forever—with realistic, high-quality 3D figurines. © 2018 My 3D Mini Me, Inc.